Women are created to as a gift to all humanity. They spread beauty and shed light everywhere around them. However few of them know that first cosmetics appeared many years ago and were produced using only natural components. It was very hard for women of ancient times to stress their beauty but they tried to do their best in order to be as attractive as possible. First mascara appeared more than 5000 years ago in Ancient Egypt during the Pharaohs reign. Those were the times of complicated mixtures which included lots of different ingredients and components. Antimony was the basics of the ancient mascara. It was combined with honey, animals’ fat, lead and other ingredients. Such mixture was used not only to stress the beauty but also as a healing remedy for skin. It protected women’s faces from sun. Due to high temperature women were forced to change their make-up for several times during the day. Papyrus with the image of beautiful Egyptian girls proves the fact that they used natural cosmetics thousands of years ago. Moreover ancient women also liked to boast. That is why they kept their cosmetics in beautiful boxes and used it with the help of ivory sticks which cost a lot even at those times. Later such kind of mascara appeared in Ancient Greece. Roman women made lots of experiments in order to get the best mascara. They also tried to mix different ingredients such as lead and paint. Unfortunately such experiments often resulted in the fact that girls damaged their eyes and lost their eyesight forever. Women of the Victorian epoch tried to hide their white eyelashes by all means. They used ash for this purpose. By that time paint for eyelashes appears. It was based on petrolatum. Despite the fact that this paint was not very popular with women of that time, the name of its founder has been printed in the history of cosmetics forever. His name was Rimmel. By the way, this word can be also translated as mascara from some languages. Later Terry Williams created mascara for eyelashes thanks to his sister in 1913. She was so pale that she urgently needed something that could add colors and stress the beauty of her face as no one a to marry her for a long period of time. Terry invented special briquettes which were based on coal and petrolatum. 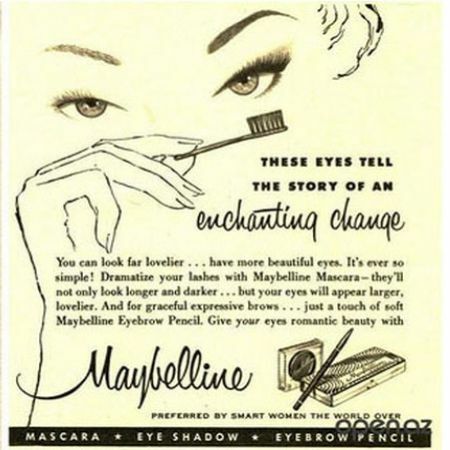 This was the time when Maybelline appeared. Nowadays it is one of the most famous cosmetic producers and brands all over the world. However women didn’t use that product despite the fact it was very cheap. William needed to boost sales of his product and he decided to sell it to actors and actresses. His mascara became the basics of their make-up. Moreover it turned out to be a great advertising campaign for his product which started to gain popularity day by day. Every girl started to buy his mascara as everybody wanted to look like their favorite actress. Evolution of this product included several different types of mascara. Then Max factor appeared on the arena with their new view of mascara. They added new tones and components which helped to create different effects. 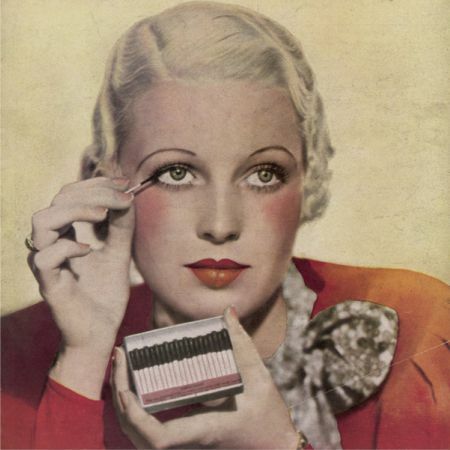 Water-resistant mascara appeared just before the beginning of the Second World War. Now every woman is able to choose between different kinds of mascara that will suit all their needs and demands. 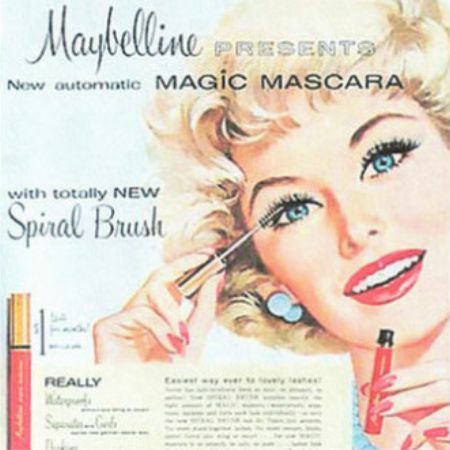 Like the article «History of Mascara»? Share it with friends!